Network monitoring has become a key responsibility of the network administrator. 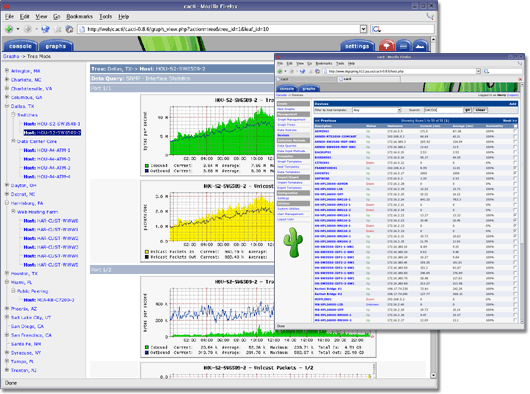 Administrators have a multitude of choices from open-source and freeware network monitoring software to commercial network monitoring tools. Network monitoring tools monitor associated systems for slow and failing components and notify the network administrators via emails, SMS or any other alarms. These tools provide an at-a-glance, real-time view of your network devices, services, applications, connections, and traffic patterns. Please note that this article is a work in progress. Additions and changes will be made going forward. 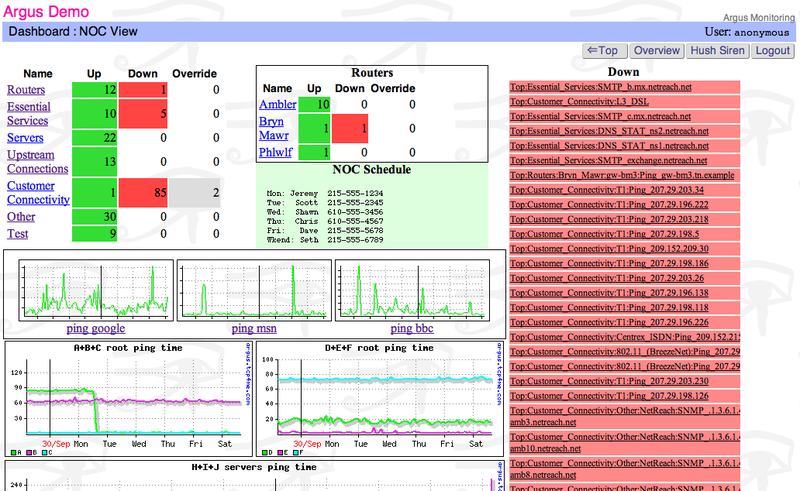 Argus is a systems and network monitoring application. It is designed to monitor the status of network services, servers, and other network hardware. It will send alerts when it detects problems. It is open-source software written entirely in Perl, and provides a web based interface. It can notify someone (or many people) when something happens and it can escalate, if things don’t get fixed. summarize and rate-limit multiple notifications to prevent paging-floods. historical statistics, for analysis or SLA verification. Support for redundant multi-server configurations. Cacti is a complete network graphing solution designed to harness the power of RRDTool’s data storage and graphing functionality. Cacti provides a fast poller, advanced graph templating, multiple data acquisition methods, and user management features out of the box. Cacti works by polling all SNMP-capable devices on your network and adding the information you’ve selected to graphs. In its simplest form, Cacti will give you the ability to create graphs for the most common aspects of host monitoring, such as disk space, loads, memory usage, NIC monitoring (bytes in/out of an interface), and so on. Built in SNMP support that can use php-snmp, ucd-snmp, or net-snmp, ability to retrieve data or a script with an index. 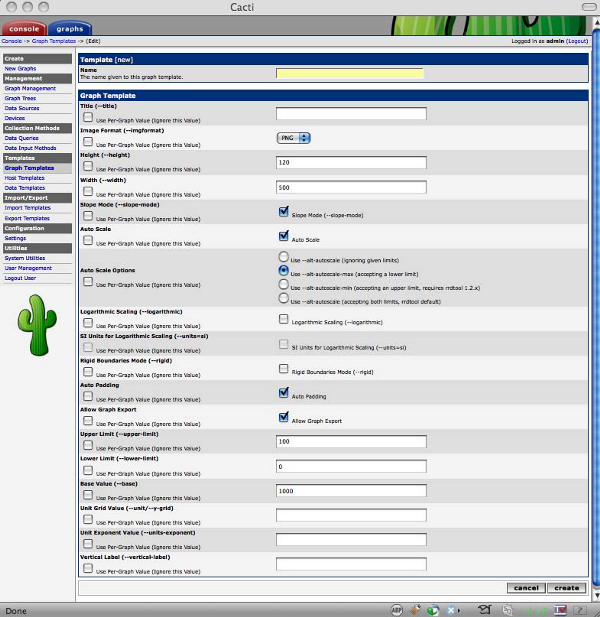 User based management allows administrators to create users and assign different levels of permissions. Update: CactiEZ is no longer developed. CactiEZ is a self installing Linux Distribution based off CentOS that sets up and configures a customized Cacti install. Everything is designed to be completely automated and working directly out of the box. This compact distro is loaded with extra features such as Syslog and Netflow data collection, Weathermaps, Reports, Auto Discovery, and much more! Update: CCschmidt is no longer developed. A collection of useful network software based on SNMP covering traffic and utilisation monitoring, forward database retrieval from switches, as well as squid log analysis and network performance measuring with variable size ICMP requests (pings).